Yes please do run, we need eight years of Trump to put America all the way back together again. How much media attention will he get talking about an election that’s three years away? Just time wasted. It is like a hamster running on a wheel. WZ: Gee, who would have guessed with all his posturing, including the ridiculous trip to Germany? We’ve been saying this for months. He’s the only one who doesn’t get that he wouldn’t stand a chance, even progressives hate him. Of all the ones out of NY, Cuomo stands the best chance. 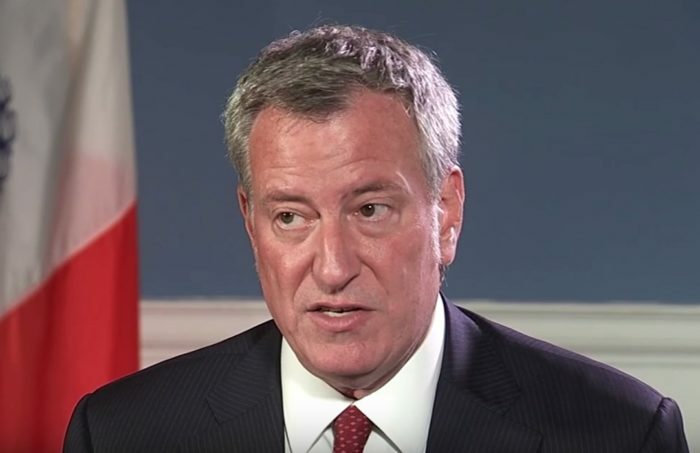 NY Post: Mayor de Blasio is putting out feelers to run for president, spreading whispers that Bernie Sanders, 75, and Elizabeth Warren, 68, are too old, sources say.